Doctors, teachers, religious leaders, firefighters, police, and military officers—what do these people have in common? They're in positions of authority and are people that others tend to respect because human nature tends to automatically respect and obey authority. We trust what the doctor tells us. When a cop tells us to do something, we do it. We believe what our teachers teach us. We rely on people with superior knowledge or training in a specific area. I'm not saying we're unquestioning drones, but our own psychology does come heavily into play when it comes to authority. We are easily swayed by those in positions of authority. In fact, authority is one of the principles of persuasion in Robert Cialdini's books, Influence and Pre-Suasion. I went over this at a high level in my post Persuasion at Work, and this post is going to dive even deeper. As a manager or leader within your organization, you're in a position of authority. Overall, U.S. workers' trust and confidence in their leaders has been slowly, yet steadily, increasing with more than half of all U.S. employees saying they have faith in their senior leaders. I believe that authority is the most important principle for managers to understand because it's a powerful weapon of influence. I'm using "weapon" purposefully here. Authority is easy to use and even easier to abuse. Once you've broken the trust of your employees, rebuilding it is all but impossible. Triggering authority can make it easier to trigger all the other principles of persuasion. 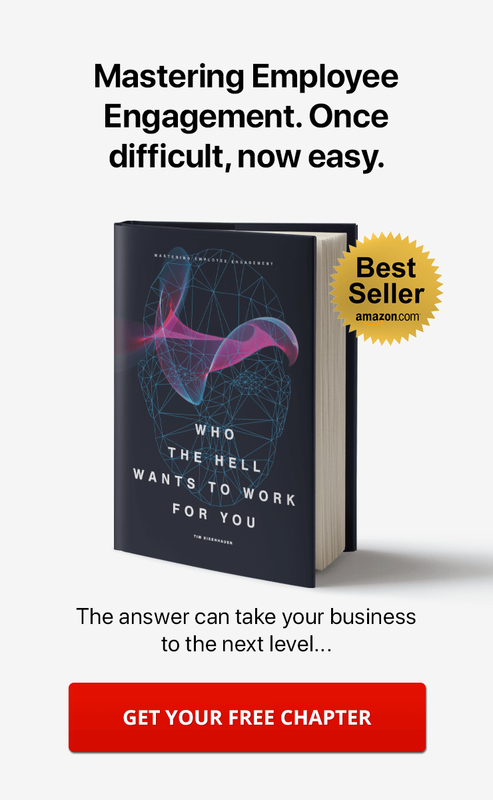 While I'm going to give you some critical tools in this article for using the authority principle to create a happier and more productive workplace, I want you to read this article with a sense of caution. Authority is not to be used for personal gain. Eventually, that will come back to bite you. Rather, use this principle wisely, and it will result in happier, more engaged employees who genuinely trust your leadership. Before we begin, let's do a recap of authority. Obeying authority is such an ingrained principle for us as human beings, you might not even realize your own psyche is at work. What makes a person an authority? Believe it or not, a uniform or title is often all it takes. When someone says he's an authority or he shows the outward symbols of authority, we don't tend to question whether he is an authority. That carries heavy implications because we follow the suggestions of authorities; we believe what they say. What if that authority is doing something illegal or immoral, though? Evidence says we will still obey the person of authority. This principle of authority is what a con artist operates off of and why he's so successful. In addition to being a crook, a con artist is also a talented actor. He pretends to be an authority on a subject; and because of this psychological principle, his mark (victim) doesn't question him. A less serious, but no less profound, result of the authority principle's application is marketing tactics. When a company offers valuable information, it builds authority, and its audience is more likely to follow its suggestions going forward. Take a look at the Betty Crocker site. You can easily believe this company is an authority on cooking, yet all of these resources were designed and published by marketers. Authority is also why we trust the waiter's suggestions about the food at a restaurant. We trust he knows what he's talking about because he's an authority on the food he serves. In the workplace, you can use the principle of authority to boost employee morale and, more importantly, build trust through seven authority activators. The first activator is aesthetics: how you outwardly present yourself to others. Aesthetics has a direct impact on how others perceive you. To be perceived as an authority, start by looking like one. Driving a fancy car and wearing expensive clothes are cues that communicate someone has high status. The person is a legitimate authority in something, but you don't need to look fancy to be taken more seriously as a leader in your organization. Simply dress for success. Drive a well-maintained vehicle. Keep your hair neat and pay attention to your personal hygiene. You're not being shallow! These things communicate authority. Though aesthetics are more important during a first impression, they make a difference to your employees in the long run, too. If you look put-together, your employees will perceive you as put-together. They'll have more confidence in you and be more likely to follow your lead. That's just the way our brains are wired. An added bonus is that by paying attention to aesthetics, you will boost your own confidence. The second authority activator is early engagement. New hires are special. They haven't been tainted by disgruntled employees yet, coming in with positive attitudes and genuine curiosity. They're a fresh start for you as a leader. Engage with new hires from day one if you hope to hold onto them. A formal new-hire orientation practice is great, but as a leader, you need to go one step beyond. Personally help them get setup on the company intranet so they have access to all the information they need. Help your new hires immerse themselves in your company culture. Clearly communicate your company's mission, vision, and values and the why's behind them. Welcome new hires like you're excited for them to be there. Each of these help establish your authority in a positive way while easing new hires into their new environment. The third, and most critical authority activator, is trust, starting from the top and working its way down. Trust enables your employees to focus on their work and not get sidetracked by the latest rumor that the company is falling apart. Trust lets employees set goals and reach them because they know you've got their backs. Trust makes change possible, and it starts at the top. Do your employees trust the executives above you? If the answer is "yes," you might be a unicorn. The better question is, "Do your employees trust you to cover them when disaster strikes?" That's the question you need to get a "yes" to. The fourth authority activator is walk your talk: lead by example. If the company is going in the wrong direction, often that means leadership is not practicing what it preaches. Never ask your employees to do something you're not willing to do yourself. If you don't want employees showing up to the office in shorts, don't wear shorts yourself. I touched on this in my article on social proof, but it applies here, too. 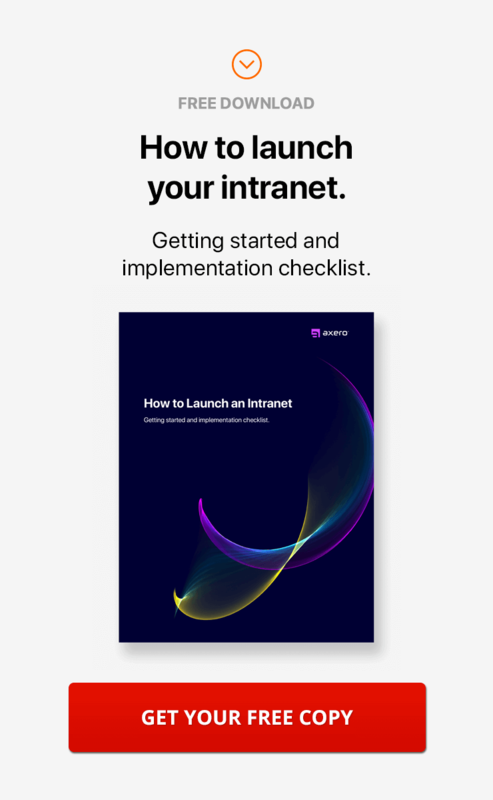 When managers come to us and ask us how to get their employees to use the intranet, we give them this simple solution: use it yourself. The fifth activator is making your employees visible. When an employee does something great, bring attention to it. Make his accomplishment known far and wide—especially upward. Mention it in the weekly team meeting and note it on your report to your superiors. Bringing attention to your employees' good works boosts their confidence in themselves and in you. This is also a critical element in getting others to trust your team. Make your employees visible and hand off authority to them. Your authority and your team's authority will both be improved by this. One final note, never ever take credit for an employee's work. That's the surest way to lose his trust forever. 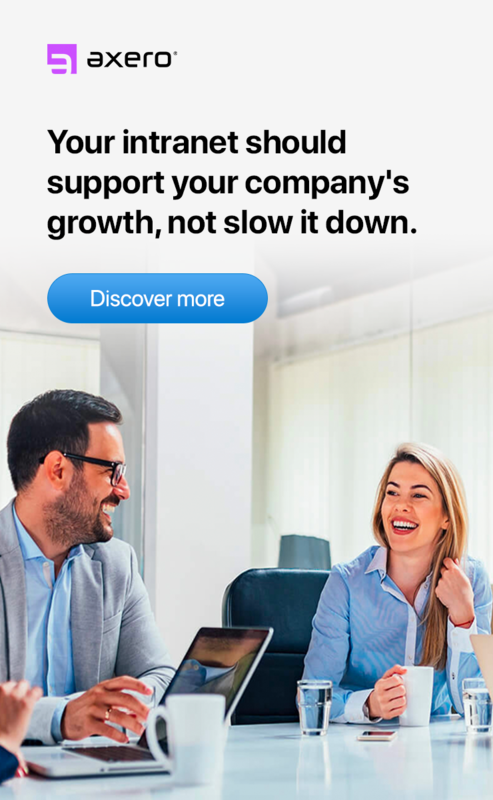 The sixth activator is supporting career development: It lets your employees know that you're on their side and they can trust you as an authority. Give them access to the training and education they need to go further in their field or to change fields entirely. Also, give them the time in which to do it. By stifling career development, the only thing you'll be an authority over is a dead-end job that you'll have to fill with a new employee when the current one quits. The final authority activator is modeling positive behavior, and it's the key to changing employee behavior. For example, if you want your employees to take good care of their health because healthy employees are productive employees, start by taking care of your own health. Exercise during your lunch hour. Stop work at 5 p.m. so you can get home and eat a healthy meal with your family. You are in a natural position of authority with your employees; and because of your position, they will pay more attention to what you're doing. Use your authority to trigger a positive response and create a better working environment. The seven authority activators are triggers, but the four authority amplifiers will boost the impact of your authority, so you can make positive changes faster with your employees and with a more lasting impact. First up is credibility. We believe [ideas] because we trust authorities. Adding credibility to your position of authority dramatically enhances the effect of that position. The 2007 book Made to Stick identifies two types of credibility: expert and celebrity. The expert has credentials such as degrees and awards. People refer to them. If Stephen Hawking writes a back-cover blurb for a book, you're going to trust that book. The celebrity is an aspirational figure. People want to be them. If Oprah endorses a book, you're going to want to read the book. Adding credibility to your authority makes you more influential with your team. The appearance of authority is as persuasive as legitimate authority. Think about all the commercials and ads you see for health supplements. The marketers use doctors (experts) and celebrities to endorse the products. Those endorsements don't mean the supplement will work for you, but they sure lend credibility to the business's claims, and that added credibility boosts sales. More than likely, you're not a celebrity, but you may have expert credentials. Display them! Put your master's degree in a nice frame and hang it on your office wall. List your awards on your intranet profile. "I lost that deal last month, however, we learned tons of valuable information about the sales process with that company. Here's what we are going to do differently now..."
"I don't have experience in that area, but I'm a fast learner." You might think that admitting a weakness is a bad thing. More than likely, though, the person you're speaking to already knows you have that weakness. It's not news to them. Using a transitional word between the weakness clause and the strength clause channels your listener's attention to the strength. This practice boosts your credibility because you're being transparent. You're not hiding your weakness, but instead, you're bringing your strength as a leader to the forefront. Second is expertise. As specializations become increasingly narrow, more than ever we trust experts to give us answers. As an authority at work, you are in a prime position to boost your impact by sharing your expertise. Here's the key, however: Your expert knowledge must be relevant to the subject at hand in order to use it as an authority amplifier. For example, if your company sells website design services, the Webby Award you won last year is a lot more convincing than your bachelor's degree in art history. Remember, you aren't an expert in everything, and trying to claim that you are will actually detract from your authority. You are an expert at something, though, and sharing that expertise strategically can help your employees learn to trust you. Do you have extensive experience in a certain arena, a special education of some kind, an unusual skill in some area, or special awards you've won? These are clues to your area of expertise, and they are also the clues your employees' need to see before you make an argument. Share stories with concrete and vivid details because knowledge of details lends credibility to your claim of expertise. Use statistics to illustrate your points, but be sure to give them context. Numbers don't "land" in your listener's mind when they're thrown about without context. For the most impact, have someone else introduce your expertise. Third is trustworthiness, but building trust with your employees takes time, and that trust can be destroyed in an instant. Maintaining and growing trust requires continuous effort, but trust is imperative to your authority in the workplace. Studies show that people believe trust impacts their happiness at work, their engagement, and their productivity. Also, teams that trust each other are more productive, creative, and resilient. Prioritize your ethics and integrity in all situations. Avoid the appearance of bias. Say what you think with honesty and tact. Mention your weaknesses and remember to immediately pivot to your strength. Share your story. How did you get to where you are now, and what advice would you give to someone who wants to follow in your footsteps? Use your company intranet to build trust. This practice will also turn your intranet into a source of truth. Your employees will know they can go there to get information when they hear change is coming down the pipe. It's an opportunity to proactively address change before employee morale takes a hit. Fourth is intellectual humility. You might see the word humility and assume I mean humble, but intellectual humility is a bit different. Intellectual humility means staying open and alert to new information and requires a commitment to avoiding bias in your thinking. If you want to positively influence your employees using the principle of authority, you must receive their input with respect and gratitude even if you don't agree with it. This shows your employees that you're listening and that they're free to express their own expertise. Intellectual humility has a domino effect. Staying open to your employees' input makes them more likely to trust you and share with you. They stop being defensive with you and with their teammates. They work through their differences. The whole team benefits. We human beings are ripe with confirmation bias. Being open to being wrong feels really wrong. But it's the best thing you can do for your team. Being open breeds trust. It boosts confidence. It makes the whole team stronger and more engaged. How long do you take to change your mind once you've been proven wrong? Do you actively seek to prove yourself wrong? These are important questions for you to consider as a manger. Intellectual humility isn't easy to accomplish. It requires putting aside your pride—completely—for the benefit of others. The payoff, however, is worth every moment of discomfort, and it does get easier because you'll see your employees respond so positively, so quickly. Authority is a powerful force in the workplace. So powerful, in fact, that you can fake it and still influence people. Because you've read this far, though, I know this about you: You're not looking to trick your employees. You want to create a better work environment for your team. What information can help your employees make better decisions? How can you highlight your expertise and honesty, and what can you do to highlight other's expertise? Are you mentioning your weaknesses before you mention your strengths and using but, however, or yet to make the transition? Congratulations! You have now reached Authority Master Level. In our next installment in the Persuasion Master series, you'll learn how to use the scarcity principle to gently funnel your employees' attention to the most important tasks and activities.